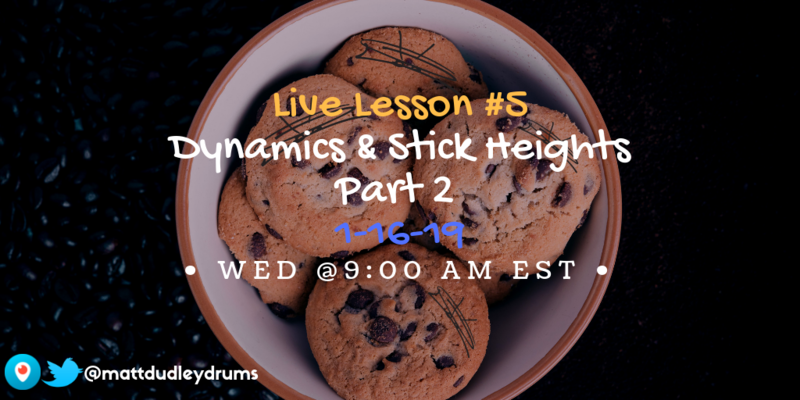 Carrying on to the second part of Stick Heights & Dynamics. We are working with the dynamic markers Crescendo and Decrescendo/Diminuendo. Crescendo: Increase in loudness or intensity. Decrescendo/Diminuendo: Decrease in loudness or intensity. The idea is to take the heights we have learned through the different dynamics and play them in a gradual form from soft to loud, or loud to soft. Below is a group of exercises using stick heights in ascending and descending order.